Is there any fluff telling us what Nightmares (from Night Fright) look like? Has anyone got any good ideas for minis to use for them? I might use an excuse to buy some Malifaux but I am not sure what. I am using some Souls tokens from Privateer, mounted on 30 mm bases. I am not covninced PPs ectoplasmic blobs are very scarey! I have remembered some old GW wraiths that I like & could do with seeing the light of day again. The mantic wraiths will work for me or the Reaper miniatures Warlord range of Reapers. 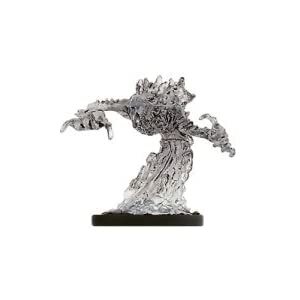 There are LOADS of Wyrd miniatures that would fit the bill! What about some links for all these ideas? That's great. I am not a fan of prepainted plastics but one thing they do really well is translucent models. Is there any fluff that indicates what a Nightmare is? Wyrds cover everything from Giant 4 winged Bats through Psycho puppets to Enormous Teddies. I hope there will be background on the new site. I have some of those as well and had thought about using both. I might convert a few little horrors up on mini sky-boards LoL!